It's hard not to be passionate about Highland Perthshire as a place to live in as well as visit. Hopefully these blogs prove the point! 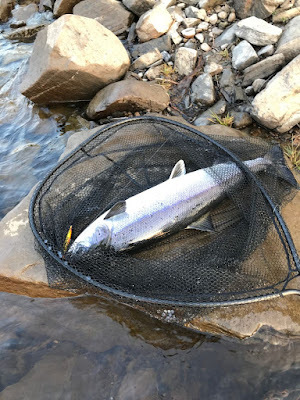 Not too many fish showing at the Dam today but they are there: Jim Lapsley caught a fish of 16lber on the spinner on Pitlochry bank first thing this morning; and Ally Gowans was successful later in the morning with a fish of 8lbs caught on the fly from Port-na-Craig bank. With settled conditions set to continue there should be more to come this week.